Oziz is one page WordPress Theme for landing page. It’s speciality to show resume , skill , portfolio , service , biography info for your reader. It design suitable for job seeker who want to show their resume online. It use bootstrap, fontawesome. You can see the demo in : http://reviews.wpamanuke.com/homepage . After that in the customizer just make setting in the every section. Gutenberg has become default WordPress Text Editor right now. 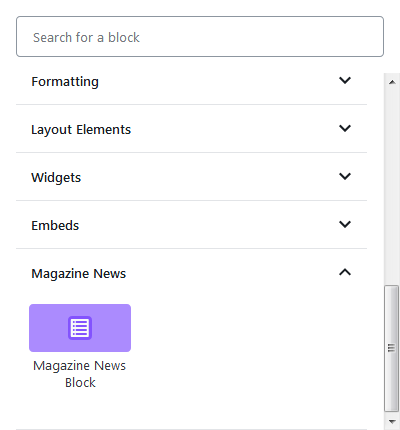 The princip is making each as component/block just like page builder which has been exist before. 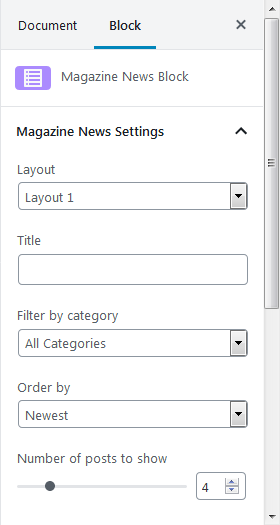 Because it’s new , i just want to experiment for learning purpose creating simple magazine news block builder plugin for gutenberg. It work using ajax for backend. For development i’m using create-guten-block from ahmadawais and learning from other existence gutenberg block. For developing gutenberg blogk , i must install nodejs and learning reactjs library. If you don’t know about React just learn in youtube , there are many good tutorials there. It use Bootstrap Framework ( Grid and Utility) which i include in the style.css , So the css is only 1 file. It use microformat for the php file so search engine friendly. Just using hentry , entry-title , entry-summary and entry-content. I hope it’s usefull. And if you have any ideas or request just comment on this post . I upload it to wordpress.org so it’s usefull for anybody and can be modified as they need. This plugin is usefull for wordpress theme developer showcase their simple themes. The idea is simple . In wordpress plugin there are a lot of random wordpress plugin just like random post , banner , image , gallery etc but not exist random theme. So i make it based on another plugin. After 3 days research and programming finally i can make it . I call it Random Theme . It will display random theme when visitor come to your website. So just choose nice themes for your website at least 2 themes.